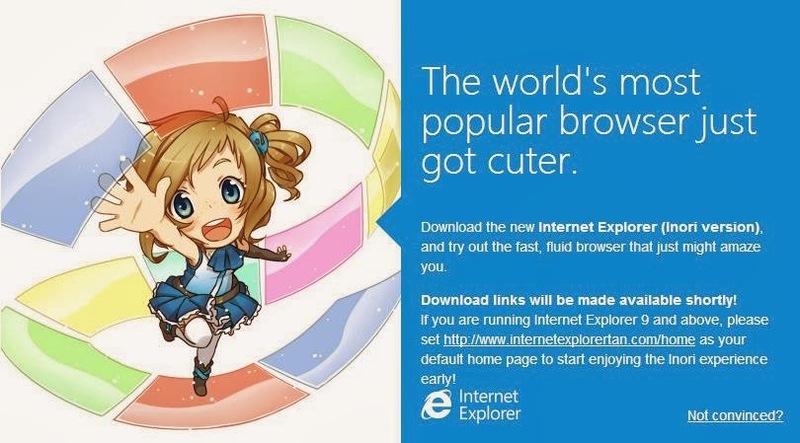 All these years of using Internet Explorer (to download other browser :D) and I didn't realize 'it' is a female. This probably explains why it is very moody. 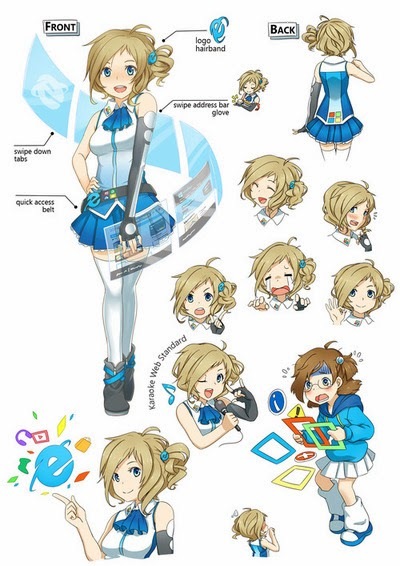 November 6, 2013, Microsoft launched their latest version of Internet Explorer (IE 11) and in line with this update Microsoft Singapore introduced Inori Aizawa, IE's newest and cutest mascot! On her Facebook Page, she introduced herself. Why don't you get to know me a little better?" Her back story perfectly describes the browser's transformation, that is, if it really has matured. 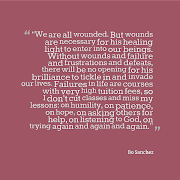 You can read Inori's complete story from her creators Collateral Damage Studios (CDS) blog. She is really cute. I think this is the best thing that happened to a browser! We shall see if this will be my next favorite browser. For those interested, you can download IE Inori version here. I think the download link will not be active until the official launch in Anime Festival Asia 2013 (AFA) this Friday. An anime detailing Inori's transformation from an ugly duckling to a magical girl will also be released. Below is a preview.